Dr. Wilson is an assistant professor with the Maryland Institute for Applied Environmental Health (MIAEH) and Department of Epidemiology and Biostatistics, School of Public Health, University of Maryland-College Park. Dr. Wilson is an environmental health scientist with over ten years of experience working in community-university partnerships on environmental health and justice issues. He has expertise in exposure science and applied environmental health including community-based exposure assessment, environmental justice science, social epidemiology, environmental health disparities, built environment, air pollution monitoring, and community-based participatory research (CBPR). For the past two years, he has been building a program on community engagement, environmental justice, and health (CEEJH) to engage impacted communities, advocacy groups, and policymakers in Maryland and the Washington, DC region on environmental justice issues and environmental health disparities. As part of his CEEJH efforts, he is leading projects to assess exposure and health risks for residential populations, urban fisherfolk, and recreational users of the Anacostia Watershed (Project CAESARR and Project RECREATE). He is also a Co-Investigator on project that uses community engagement approaches and Geographic Information Systems to assess different sustainable practices that can be used to reduce stormwater inputs into the Chesapeake Bay. In addition, he is working with a research team in Baltimore to understand the role that the built environment plays in producing conditions conducive to for pests particularly mosquitoes and how impacted residents can engage in citizen science to improve environmental conditions, reduce pests, and enhance quality of life. Dr. Wilson is also quite engaged in environmental justice research and advocacy in the Southeastern United States. Currently, he is Principal Investigator of a NIEHS-funded R21 research to action grant with Charleston Community Research to Action Board (CCRAB) and the Low Country Alliance for Model Communities (LAMC) entitled Use of a Community-University Partnership to Eliminate Environmental Stressors. This project seeks to examine pollution and health issues in North Charleston, SC, and build community capacity to address these issues in the region. Dr. Wilson and other members of a related collaborative partnership between LAMC, City of North Charleston, the SC State Ports Authority, and other stakeholders received a 2009 Environmental Justice Achievement Award from the Environmental Protection Agency. He is also Co-PI of an Environmental Health core at a NIMHD-funded health disparities P20 Center of Excellence at USC led by Dr. Saundra Glover to study and address environmental justice issues and environmental health disparities in the state of South Carolina. He has been working with the West End Revitalization Association (WERA), a community-based environmental justice organization, on infrastructure disparities, planning inequities, the lack of basic amenities, and environmental health disparities in African-American neighborhoods in Mebane, NC since 2000. As part of his collaboration with WERA, he has been instrumental in helping the organization receive funding from NIH, EPA, and foundations to fund WERA's community-owned and managed research and efforts using collaborative problem-solving model. He has also worked with WERA to help local residents receive first time installation of public regulated sewer and water services and other basic amenities. He received a NIH R03 grant in collaboration with WERA to evaluate the organization’s novel community-university environmental justice partnership. In addition, he works on the GRACE project, a community-university partnership that is assessing the long-term health impacts of exposure to chlorine gas due to a train derailment in Graniteville, SC. He is Co-PI of another Graniteville project whose goal is to take a mixed-method approach, using both qualitative and quantitative data collection and analysis, with community-based participatory research (CBPR) to document how the challenges presented by the post-disaster surge in health service delivery are further compounded within a medically underserved community in the rural South. 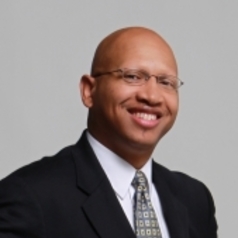 Dr. Wilson was a 2005 Robert Wood Johnson Health and Society Scholar at the University of Michigan's Center for Social Epidemiology and Population Health where he did research on social and environmental determinants of health and health disparities. He has published his work in Atmospheric Environment, Environmental Health Perspectives, Progress in Community Health Partnerships, and Environmental Justice. Due to his passion for environmental justice and community engagement and positive contributions to help community-based organizations solve environmental justice and health problems during his career, Dr. Wilson received the 2008 Steve Wing Environmental Justice Award from the North Carolina Environmental Justice Network. Dr. Wilson is on the Board of Community Campus Partnerships for Health, an international organization that supports the use of CBPR to address health and social justice issues. He is also on the Board of Scientific Counselors for the CDC’s NCEH/ATSDR. He was a member of the National Academy of Science Committee on Exposure Science in the 21st Century. Furthermore, Dr. Wilson is a Past Chair of the Environment Section of the American Public Health Association, a senior fellow in the Environmental Leadership Program, and Chair of the Alpha Goes Green Initiative, Alpha Phi Alpha Fraternity, Inc. He received both his MS and PhD in Environmental Health from UNC-Chapel Hill and his BS degree from Alabama Agricultural and Mechanical University.